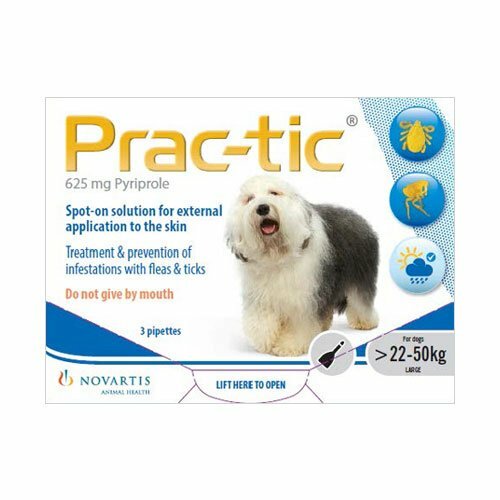 Manufactured by Novartis, Prac-tic for dogs assists in killing fleas and ticks very swiftly thereby providing complete protection to your dog. It is available in 3 or 6 pipette packs. It protects dogs from flea infestations for a period of one month. It is also used as a strategy to treat and control Flea Allergy Dermatitis (FAD). 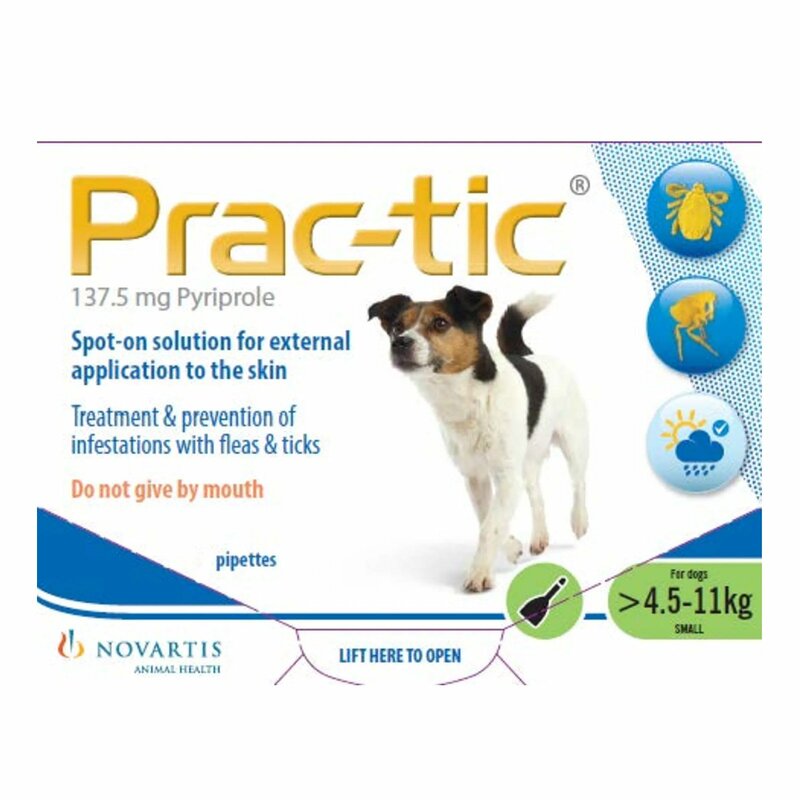 Prac-tic contains Pyriprole as an active ingredient. It is a member of the phenylpyrazole family of broad-spectrum non-systemic insecticides and acaracides. It interrupts the GABA receptors that assist in killing the parasite on contact. 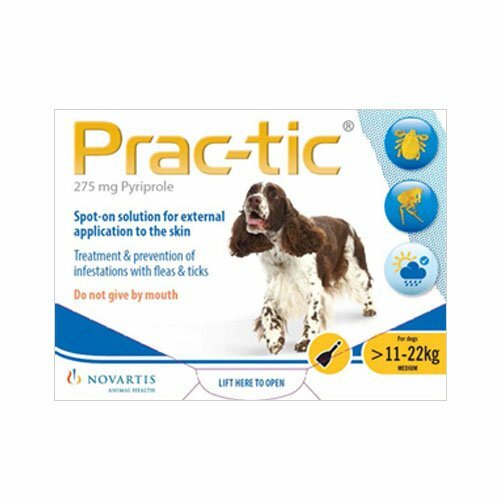 Prac-tic Spot on for dogs is a spot on solution for dogs that assist in combating against fleas and ticks. 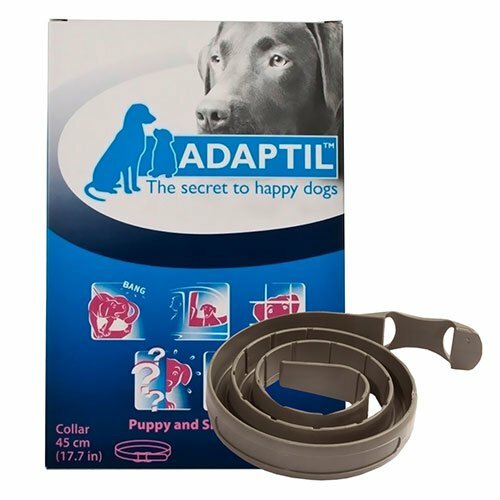 It provides complete protection to dogs from fleas and ticks for four weeks. 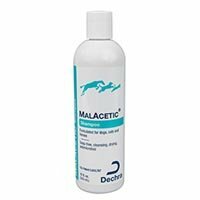 It is especially developed for treatment and prevention of flea infestation and is effective against new infestations with fleas. 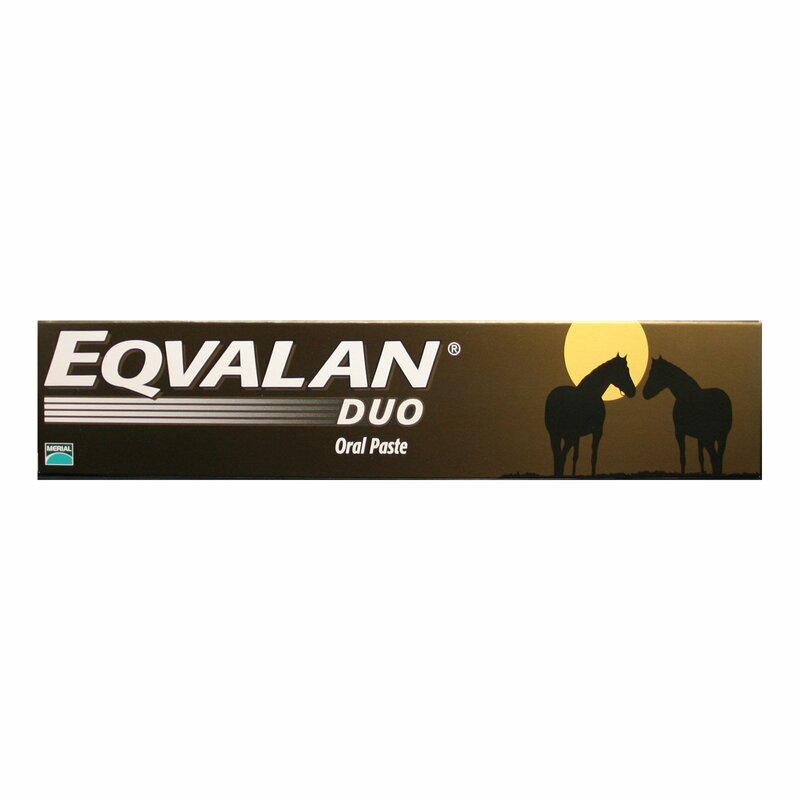 It also treats and prevents tick infestations like Ixodes ricinus, Rhipicephalus sanguineus, Ixodes scapularis, Dermacentor reticulatus,Dermacentor variabilis, Amblyomma americanum which continues for a maximum of 4 weeks. Remove a single pipette from the package. Grasp it in an erect position. Tap the narrow part of the pipette to make sure that the contents remain within the main body of it. Break the top of the snap-off along the scored line. Divide the coat on the back of the dog between the shoulder blades till the skin is visible. Keep the tip of the pipette on the skin and compress it softly several times at a single or multiple spots and empty the contents on the skin. For larger dogs, apply the 5 ml pipette to 2-3 spots down the back-line in order to prevent run-off. Ensure that there is no excessive wetting of the hair with the product as it can result in a clogged appearance of hair at the treatment spot. But if it happens, it will disappear within a day from the day of administration. Children and other pets should not be allowed to get near the treated dog nor the product for safety reasons. Dispose off any used pipettes on an immediate basis. Dogs should not be bathed or shampooed for two days before administration of the treatment. 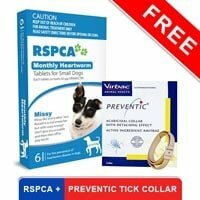 If your dog is hypersensitive to Pyriprole then do not administer this treatment on him. Read the manufacturer's instructions carefully before administering this treatment. The treatment should not get into the eyes of the pet. If accidental entered then rinse the eyes of the dog with running water. Keep this product in a well-ventilated area. While administering this treatment do not drink, eat or smoke. Not recommended for dogs younger than 8 weeks of age or bodyweight less than 4 lb. If the dog is hypersensitive to phenylpyrazole class compounds or any of the excipients do not administer the treatment to him. If your dog is sick or convalescing then do not administer this treatment to him. Strictly to be used for dogs and not for any other animal species. Administering this treatment on cats can result in overdosing so never use on cats. Never use this spot-on treatment on rabbits. 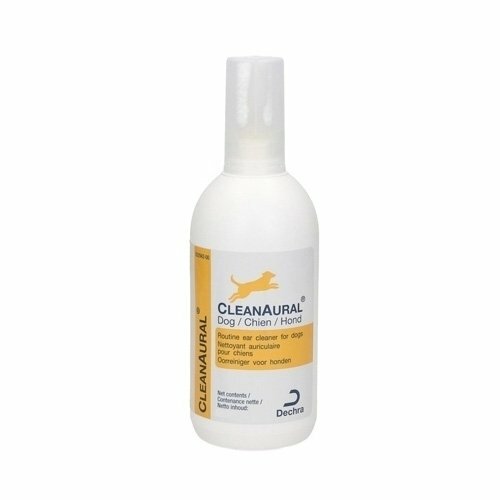 The safety of this product has not been evaluated on dogs during pregnancy and lactation periods nor in breeding dogs. 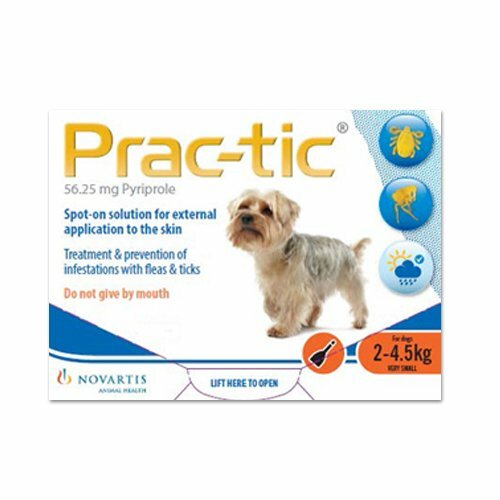 Tommy had fleas all over him and it made him and me both irritate so I bought Prac-Tic and applied on him.. All the fleas were dead within a day and no other ones came for a long time..
56 of 62 found this review helpful. 0 of 82 found this review helpful.